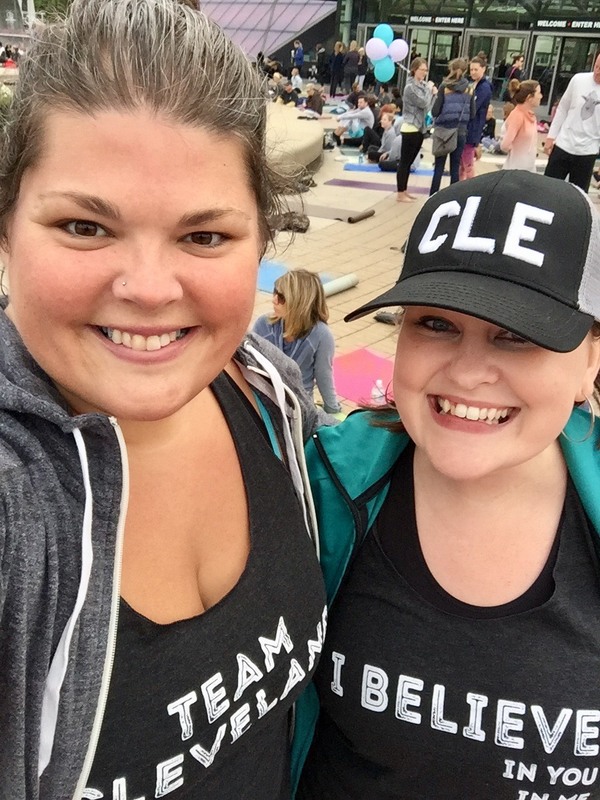 People from across Northeast Ohio, all walks of life, brought together in the heart of downtown Cleveland to celebrate the city we love. To celebrate ourselves and our neighbors. To recognize and honor the light in each other. The feeling I was enveloped by as soon as I arrived at the Rock Hall for my first Believe In CLE was that of community. How fantastic to walk into a situation where you know everyone is there for the same purpose as you. Where you don’t have to be shy or self-conscious. Where it doesn’t matter if you’re a veteran or a newbie on the mat. Where you know noone is judging. According to Merriam-Webster, one of the definitions of community is a group of people with a common characteristic or interest living together within a larger society. 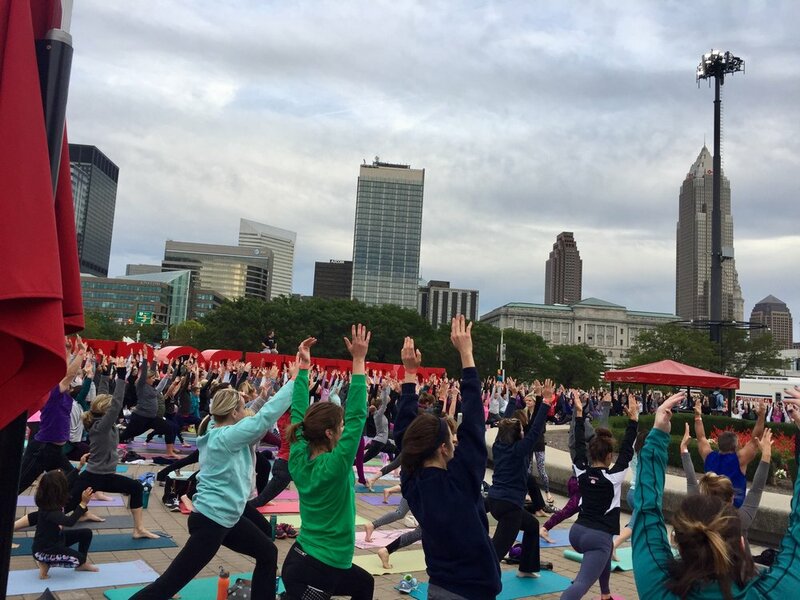 It was the common admiration of and belief in our city and our yoga practice that brought us all together on Friday. I was overwhelmed (in a good way!) by this sense of community the first time I rose up from a forward fold and saw hundreds of other people raising their arms in unison. What a beautiful sight! It took my breath away for a moment and made me realize that I was truly part of something bigger than myself. Another feeling that stuck with me through our practice was that of being grounded. While starting on our backs, looking up at the Cleveland sky, it struck me that I was laying on the same ground that I have walked on thousands of times over the years, that I’m sure all of us have. The very concrete that is the foundation of the city was now literally supporting me in my practice. Supporting all of us. In our standing poses, our feet were rooted to the same ground that we walk every day. 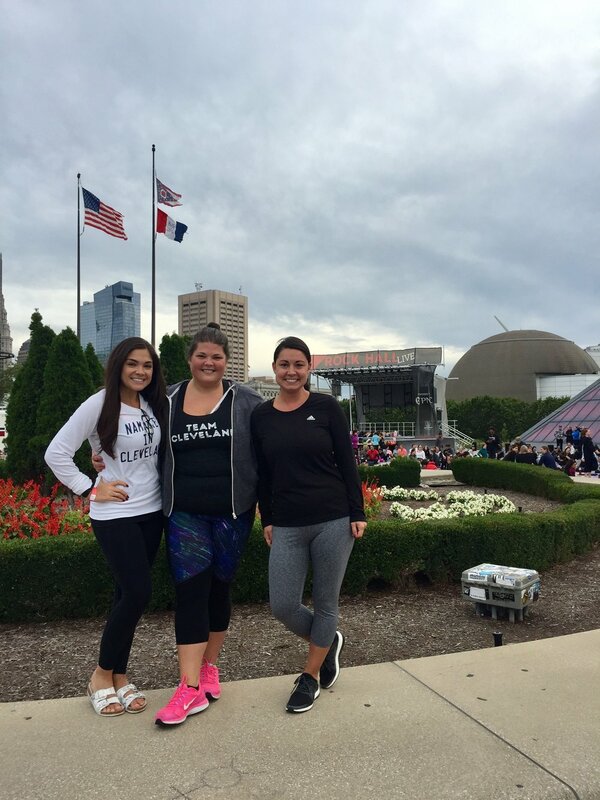 Thank you to Tammy, Believe in CLE, Inner Bliss and everyone involved in providing this experience. There are so many words that I could use to try to describe Friday night. Awesome, amazing, incredible, to name a few. But it was more than that; it was a profound feeling, that you need to experience for yourself to understand. And I hope someday you’ll join us, and the world will be as one. We asked Sarah to share a bit about herself and her role with the Cavs...you've probably seen her on TV during player interviews and various community events! In my role I work very closely with: our basketball communications group on media relations for the team (ie interviews with players, coaches, etc); our community relations group to promote their efforts out in the community and various charity work; our digital team on team-related content for web and social media; as well as with our corporate communications and broadcast groups. Needless to say the highlight of my time here has been winning the 2016 NBA Championship – it was the craziest, most surreal, most incredible experience of my life! And I can’t wait to do it again! Born and raised on the west side of Cleveland; I’m obsessed with my alma mater, Ohio University (OU Oh Yeah!! ); also obsessed with my German Shephard, Harper. After college lived in NC and NYC before moving back to CLE. We're glad Sarah landed back here in Cleveland! 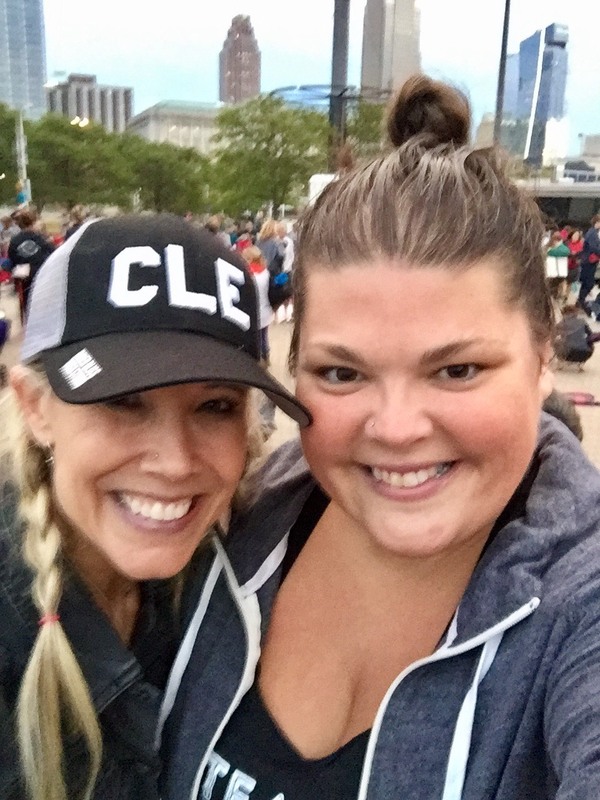 Newer PostGuest Blogger: Megan O'Bryan, CLE Believer!